Comments: May have highlighting or writing and wear to cover. May not include supplemental items like CDs or access codes. A portion of your purchase of this book will be donated to non-profit organizations. Over 1,000,000 satisfied customers since 1997! We ship daily M-F. Choose expedited shipping (if available) for much faster delivery. Delivery confirmation on all US orders. 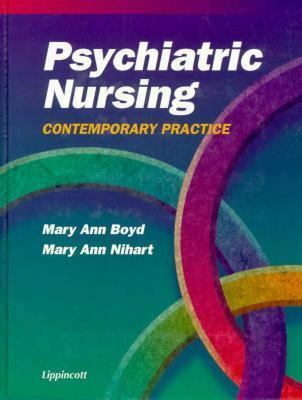 Boyd, Mary Ann is the author of 'Psychiatric Nursing:contemporary Prac.' with ISBN 9780397551781 and ISBN 0397551789. Loading marketplace prices 4 copies from $8.89 How does the rental process work?